Lenten Reflection: What Advice Would You Give to the Newly Baptized/Confirmed/Received Coming into Our Church? I recognize that this is a natural question. 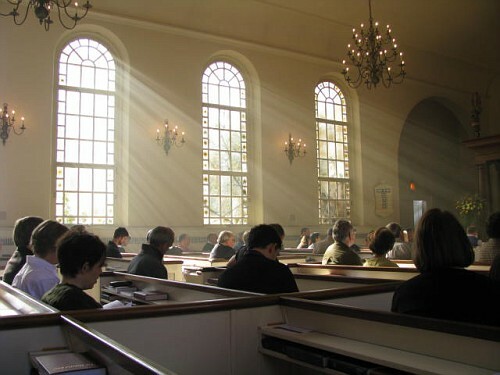 During Lent, those in formation are concentrating on learning as much as possible. They go on retreat, attend an instructed Eucharist, go to weekly classes, meet at intervals with their sponsors. The Easter Vigil may be seen as the culmination of the process, and it is a glorious one. However, when Easter is over, the new Episcopalian may understandably feel a bit of a letdown, or may feel exhilarated but not sure what to do next. If asked for my advice, I would stress to the one asking that the Easter Vigil is just the beginning of the rest of his or her life as a member of our community. The possibilities for continuing life in community can seem overwhelming if one looks at the list of activities in each week’s bulletin. Just some examples: for those who want to continue on an educational track, St. Luke’s offers a rich and varied adult education program; for anyone who wants even more educational opportunity, there is an Education for Ministry group at St. Luke’s; if the new member of our church is looking for something of a more spiritual nature, we have a weekly centering prayer group; for those who prefer something more active, there is no dearth of service and even social opportunities. May the remainder of Lent be a fruitful preparation for the wonder that is to come at the Easter Vigil and your life as a member of your new faith community. § 2 Responses to Lenten Reflection: What Advice Would You Give to the Newly Baptized/Confirmed/Received Coming into Our Church? Julia speaks wisely–always–and she gives her usual valuable advice here. I especially appreciate “…nor should anyone be afraid to admit that whatever he or she tried isn’t the right fit.” The point of trying lots of things is precisely to find the best fit, which can only happen if you identify not-good fits. I agree with Mary’s take on Julia’s wisdom. In looking back at my life since reception into the Episcopal Church, my life within and without the community expanded in leaps and bounds. I was already participating in various guilds prior to m reception. My life as a volunteer was my response to that reception. In many way, that is really what drew me to St. Luke in the first place … eventually leading to my formation and reception. My advice is to take your time, try as many avenues as appeal … eventually, you will find what it is that needs your service and fulfills your need to serve. You are currently reading Lenten Reflection: What Advice Would You Give to the Newly Baptized/Confirmed/Received Coming into Our Church? at Blog of St. Luke in the Fields.